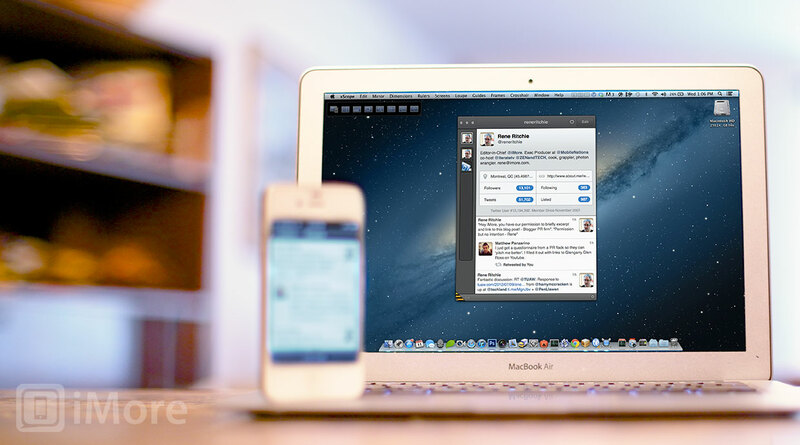 Tweetbot for iPhone and iPod touch, Tweetbot for iPad, and Tweetbot for Mac have all been updated to support the new Twitter 1.1 API, and closer comply with Twitter's new interface display guidelines. In other words, to better conform with Twitter's branding and conformity policies. Changes include all avatars moving to the left (previously your avatar was on the right to help your posts stand out), and the way your @username is displayed. If you're hoping to keep using the old version, bad news: Twitter will no longer support it starting March 5. If you want to keep connecting with Twitter, you MUST update to the latest versions of Tweetbot before then. Lest your mellow be overly harshened, Twitter for Mac has gained Vine and Flickr thumbnail support, the ability to click on someone you follow and selectively enable/disable notifications just for them, new menu bar and dock badge options, .MP4 video support, the ability to drag photos and videos to the dock icon to attach them to a new tweet, and more. If you're already using Tweetbot, head on over to software update and get the latest versions. If you haven't tried it yet, it remains our favorite Twitter client for power users, so check it out via the Mac App Store and iOS App Store links below.